The people closest to Husker kicker Drew Brown noticed a change in him over the last year or so. That might come as a surprise to some Nebraska fans as the senior and four-year starter has seemed almost as reliable as they come since arriving in Lincoln. And he has been on the field. But growth can happen on multiple levels. The tragic loss of punter Sam Foltz last year, one of Brown’s closest friends, was the sort of event that forces a person to find out what they’re really about. The same was true for Brown, and more than a year later his friends and family haven’t just noticed a change, they’re in awe of it. 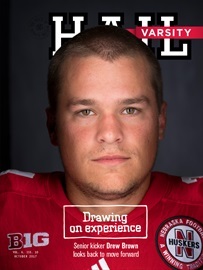 Staff writer Derek Peterson shares that story in the latest issue of Hail Varsity, which ships this week. >>Staff writer Jacob Padilla previews the Nebraska men’s basketball season. The Huskers’ roster features a ton of new faces, which is the source of most of the optimism and some of the uncertainty as the 2017-18 season gets underway in a few weeks. This feature also includes some great portrait photography from Eric Francis. >>We take a look at new Nebraska Athletic Director Bill Moos, paying close attention to where he came from, what he did there and how it could impact the Huskers moving forward. >>Editor Mike Babcock draws on 40 seasons of Husker coverage to provide some context for Nebraska’s loss to Ohio State in his back-page column. >>Recruiting analyst Greg Smith examines how coaching uncertainty is affecting the Huskers on the recruiting trail. 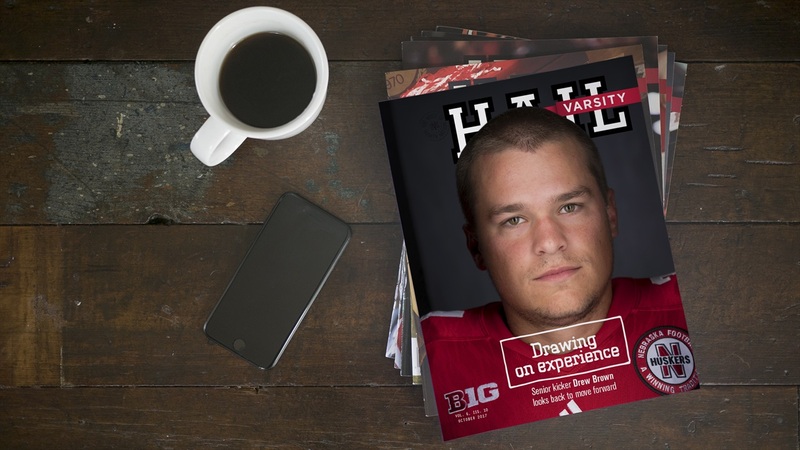 The October issue of Hail Varsity arrives on newsstands and in mailboxes this week. Want in on the fun? Subscribe today.